LAWRENCE – Subini Annamma, assistant professor in the Department of Special Education at the University of Kansas, has been selected to receive the 2018-19 Ford Foundation Post-doctoral Fellowship. Ford Foundation Fellowships support individuals with evidence of superior academic achievement and those committed to a career in teaching and research at the college or university level. Pre-doctoral, dissertation and postdoctoral fellowships are awarded annually in a national competition administered by the National Academies of Sciences, Engineering and Medicine on behalf of the Ford Foundation. Through its fellowship programs, the Ford Foundation seeks to increase the diversity of the nation’s college and university faculties by increasing their ethnic and racial diversity, to maximize the educational benefits of diversity and to increase the number of professors who can and will use diversity as a resource for enriching the education of all students. More information about the Ford Foundation Fellowship Programs can be found here. As a fellow, Annamma will be hosted by the University of California-Los Angeles under the mentorship of Daniel Solórzano, professor in the Division of Social Sciences and Comparative Education for the Graduate School of Education and Information Studies. Annamma’s proposed study will conduct a national survey within youth prisons to establish who is in youth jails and to interview incarcerated youths of color from across the country to trace how intersecting oppressions contributed to their criminalization. 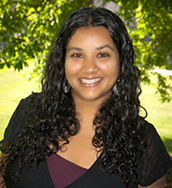 Annamma received her doctorate in special education in 2013 from the University of Colorado-Boulder and has contributed to the field through her research on increasing access to equitable education for historically marginalized students and communities, particularly students with disabilities. She has authored 16 peer-reviewed journal articles, 11 book chapters, and she has also edited two books. Annamma is active in professional organizations, collaborates with numerous colleagues, and has mentored and advised graduate students. She served as an associate editor of International Journal of Qualitative Studies in Education and is currently on the editorial board of Multiple Voices for Ethnically Diverse Exceptional Learners. Annamma was also the 2013 recipient of the AERA Dissertation Minority Fellowship in Education Research Award as well as the 2017 AERA Early Career Research Award. More information about Annamma and her research can be found here. The School of Education is a nationally ranked school, preparing educators and health/sport/exercise professionals as leaders.